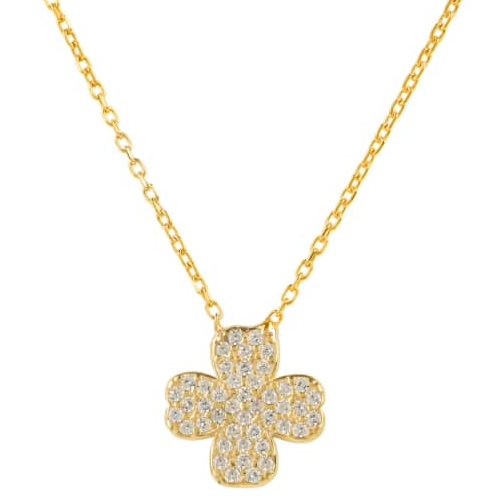 The 'Charm' necklace from the jeweller's 'Precious' collection features a pave diamond clover charm on a 18K Yellow Gold chain with two solitaires diamonds. 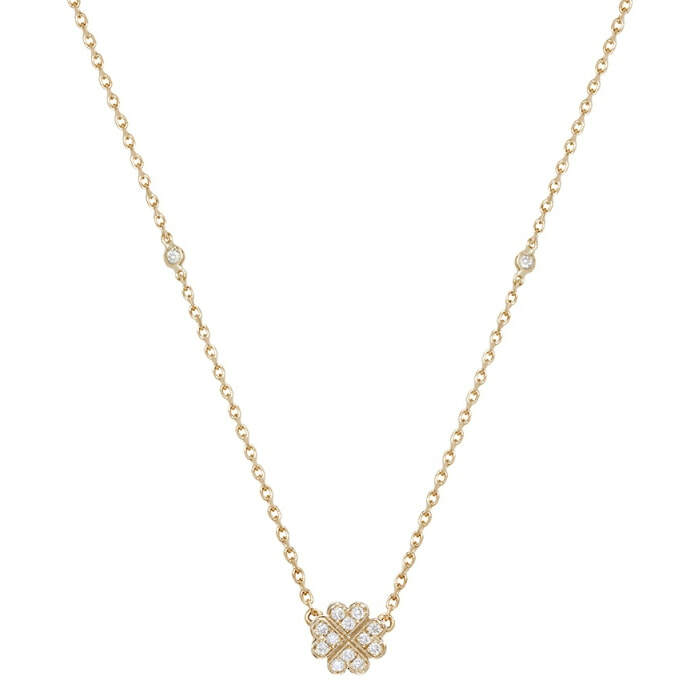 Vanessa Tugendhaft is a Belgian fine jewelry designer based in Paris. 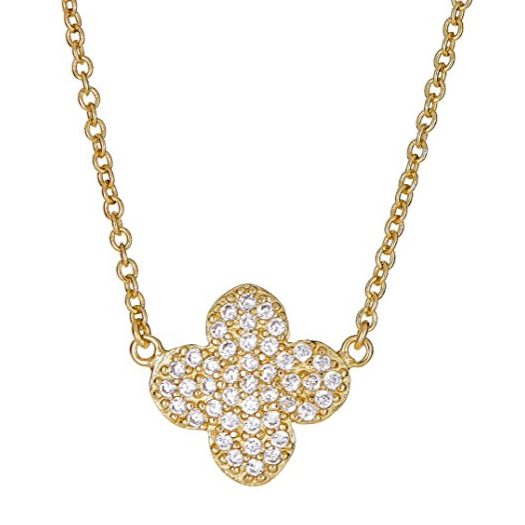 Her designs are simple and elegant and she uses many common symbols such as stars, crosses and roses in her creations.